Ramen. So good, so comforting, but also so expensive. But not so much at Sō Ramen though. 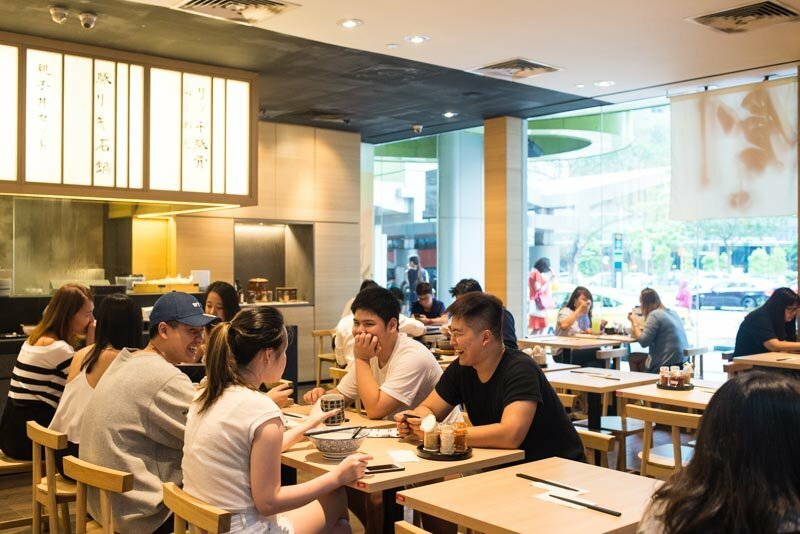 At this restaurant, ramen bowls are sold from as low as $7.90! I know, a deal that good sounds a little iffy – that’s what I’d thought too. But trust me on this, the ramen sold here isn’t some sort of low-quality, cheap-ingredient ramen. 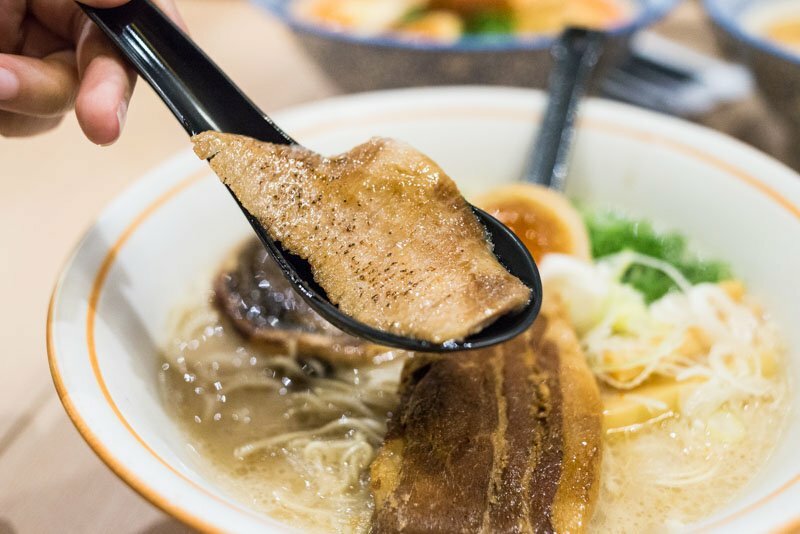 The first dish I tried was the Grand Tonkotsu Ramen ($12.90), which comes with a sinfully large piece of pork belly, a slice of pork cheek and the ramen staple, chashu. 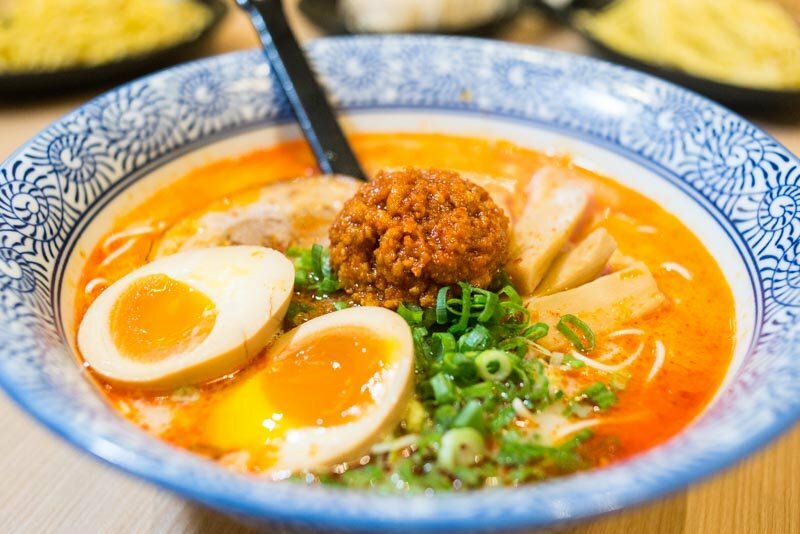 With quite a generous serving of ramen noodles, and the variety of meat that this dish offers, it’s definitely a steal for just $12.90. Of course, value-for-money isn’t the be all and end all – how the dish fares taste-wise is equally, if not more important. 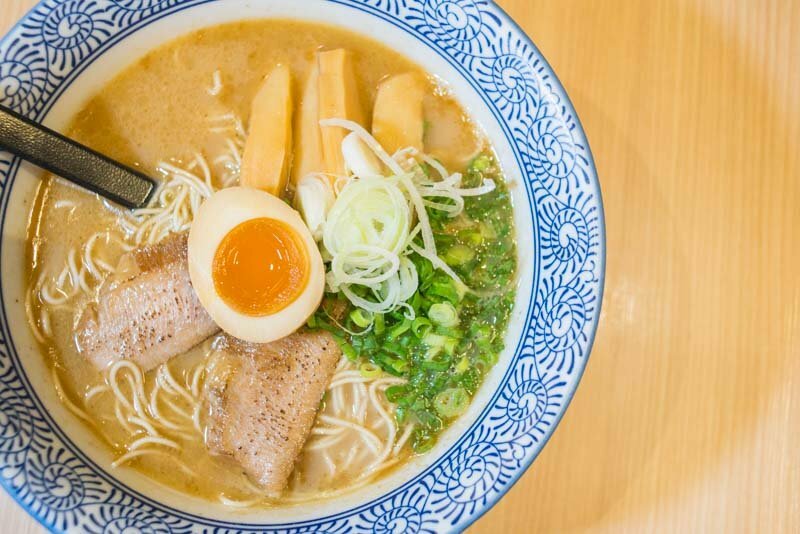 As with all ramen dishes, the broth is one of the most crucial determining factors in rating the ramen‘s greatness. This tonkotsu broth, though not as full-bodied as some ramen broths, was still sufficiently flavourful. The broth is boiled for about eight hours, infusing a prominent umami flavour. I think the selling point of the dish, however, was the pork that was done in three ways. All three were incredibly tender and flavourful, but the pork belly was simply divine. Braised in a special sauce, each bite oozed with a sweet, delightful flavour that could only be described as bliss. 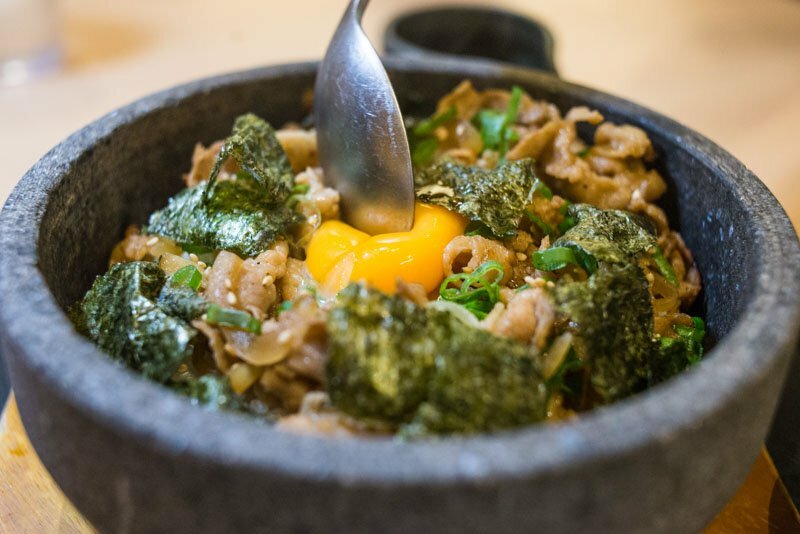 Having already tried Sō Ramen’s signature dish, it was time for something a little more unique. 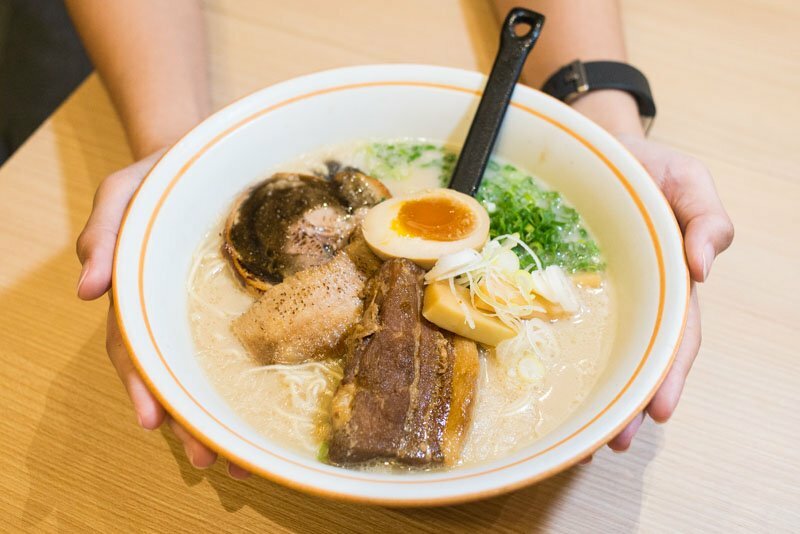 The Toroniku Uobushi Tonkotsu Ramen ($9.90) features a double-boiled broth of pork and bonito, thin Hosomen ramen, and slices of seared pork cheek. Bonito isn’t the most appealing thing to me, so I’d thought I wouldn’t like this broth. Much to my surprise, the bonito added quite an enticing smokiness that perfectly complemented the rich, umami-filled tonkotsu base. 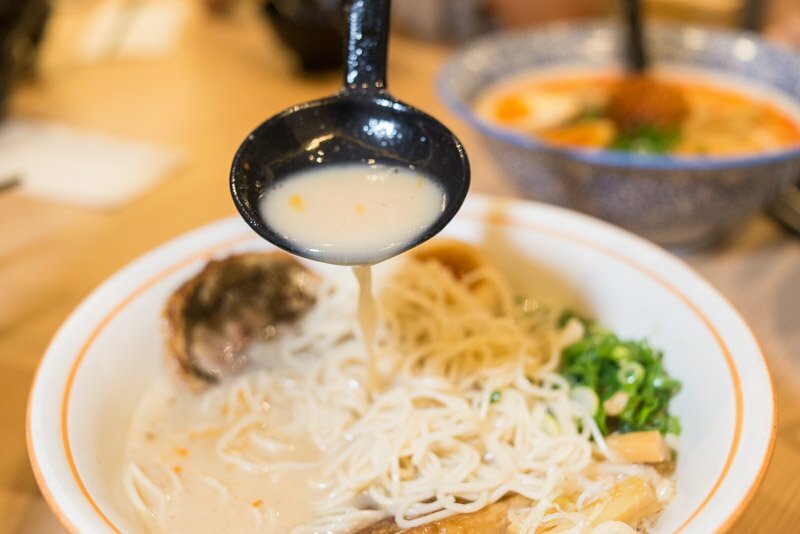 The broth was also interestingly lighter than that of the Grand Tonkotsu Ramen, making it suitable for those who prefer lighter broths. Additionally, the slices of toroniku (pork cheek) were absolutely delectable, sporting a tender quality and honeyed flavour. Overall, this was a splendid bowl of noodles at a very affordable price! You’d think that two bowls of ramen would already be more than enough, but my stomach clearly begs to differ. For my third bowl of ramen, I had the Tamago Spicy Tonkotsu Ramen ($10.90). With a chilli paste mixed in with the broth, this was certainly heavier on the palate. The spice provided an intense, fiery flavour that balanced the meat-heavy broth. As a spice lover, this was the perfect bowl of ramen for me. 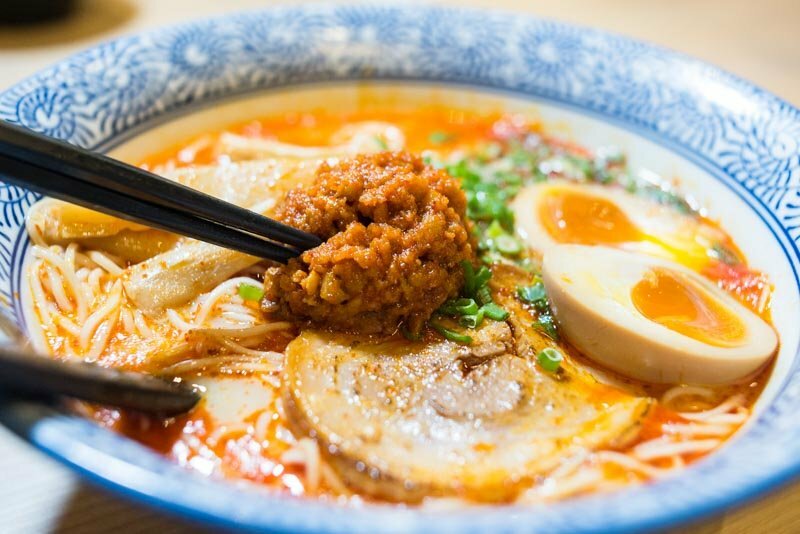 A thick, rich broth that packed quite the punch, peppered with dollops of sweet and spicy minced pork – what is not to love? 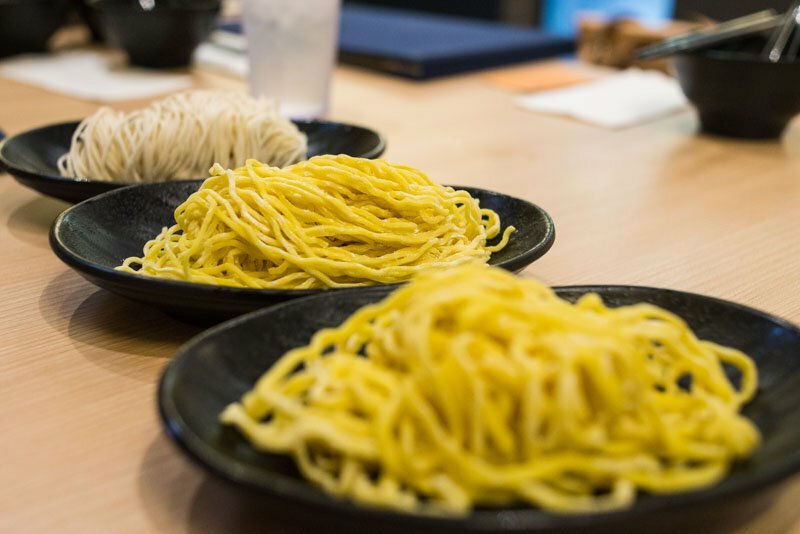 I had to end my ramen feast there – too much of one thing (even if it’s ramen) never bodes well. Anyway, the next dish I stuffed my already-bulging stomach with was the Butariki Ishinabe ($11.90). 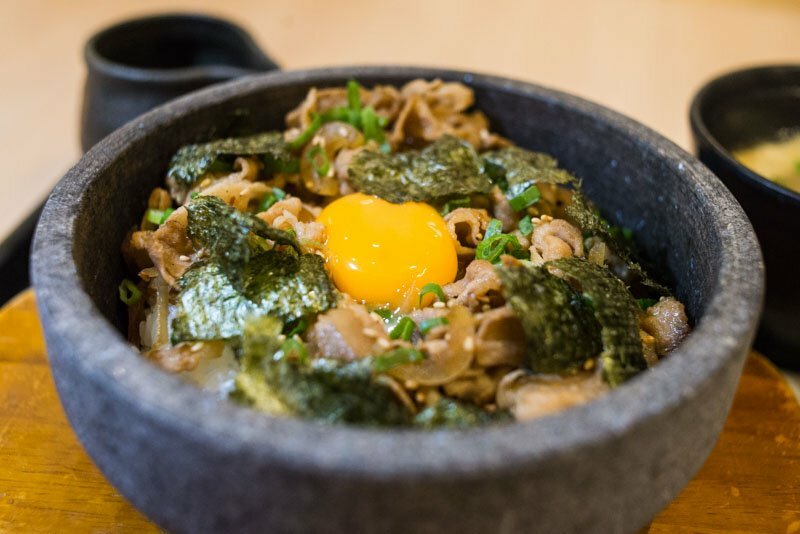 A sort of elevated version of hot-stone bibimbap, this dish features a bed of premium Koshihikari rice, with pan-fried and barbequed pork, spring onions, seaweed, raw egg and a secret sauce waiting to be mixed together. Fragrant, fluffy and a little chewy, the Koshihikari rice provided for an elegant base to the mixture of ingredients. 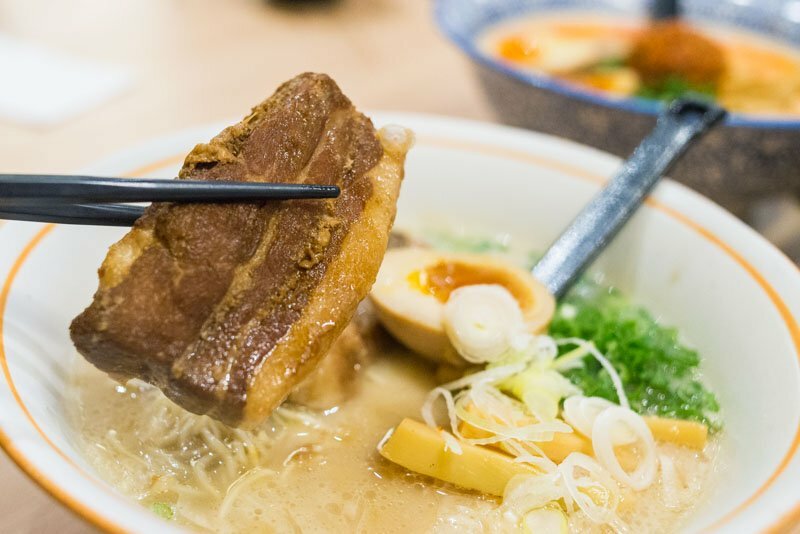 With Sō Ramen executing each pork dish I’d tried so far with near perfection, it was no surprise when I bit into the shredded pork and experienced a wave of sweet, smoky flavour accompanied with succulent meat. The egg added a creamy texture to the dish, while the sauce had an addictive quality. 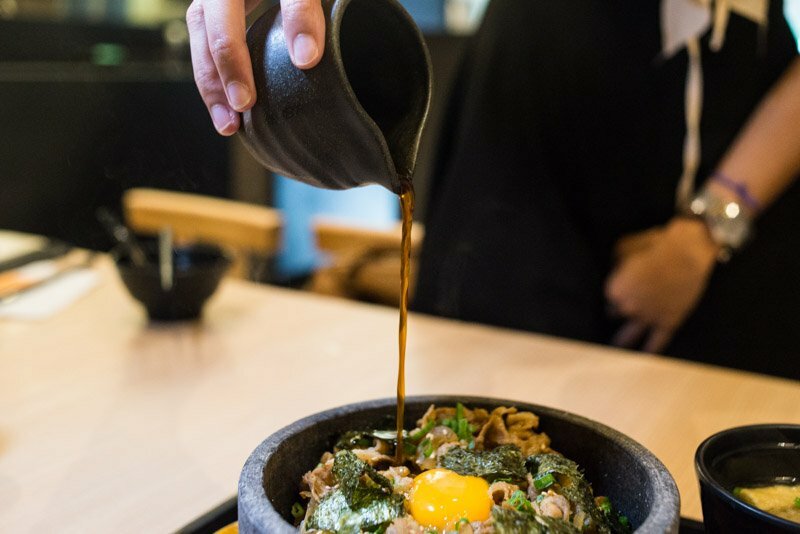 This hot-stone dish was simply the ultimate version of bibimbap that is, delicious well-marinated meat, charred rice coated with egg, and no heap of raw vegetables. Every vegetable-hater’s dream; every meat-lover’s paradise. Having fulfilled my pork quota for the day, I was craving for a different meat. 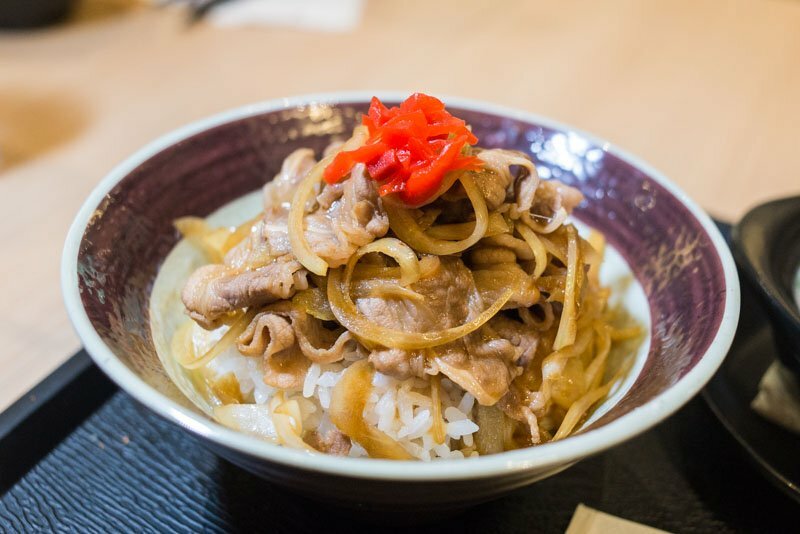 Fortunately, Sō Ramen offers a delicious Gyudon Set ($12.90), a promotional item available until end April 2018 which comes with beef rice and gyoza soup. 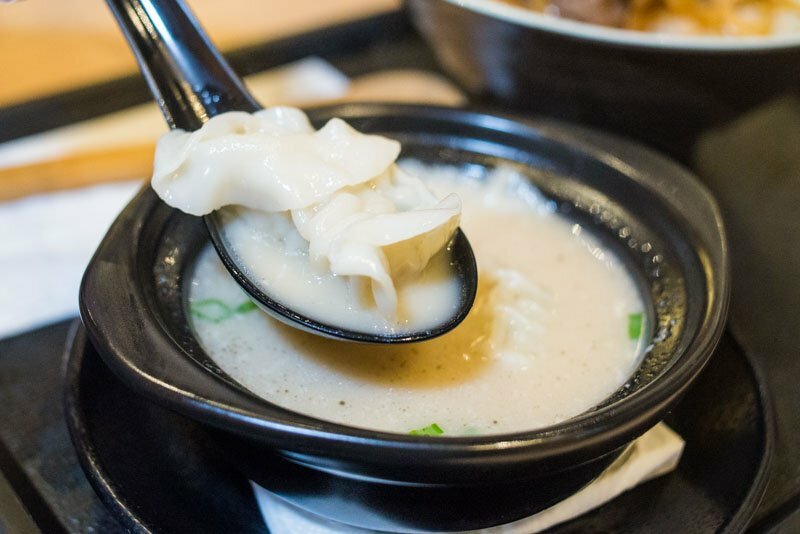 The perfect combination of value-for-money and good-quality food, the sweet and tender beef had me mesmerised, while the comforting gyoza soup warmed my soul. I think four mains is a ridiculous amount of food for any normal human being to consume, so it was high time I moved on to something lighter. 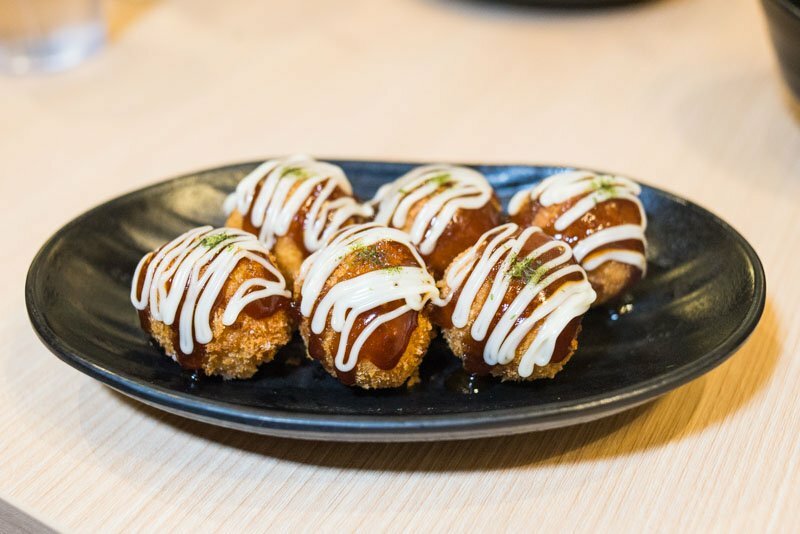 Chicken meatballs, deep-fried and slathered with a mixture of mayonnaise and plum sauce is what you’ll be presented with when you order Sō Ramen’s Crispy Dango ($4.80). At first glance, these hardly looked like anything spectacular. The presentation was plain and simple, leading me to the false conclusion that its taste would be so. Biting into one, however, I was greeted first with a delightful crunch from its crispy exterior, followed by a burst of juicy flavour from the tender chicken meat. The mixture of mayonnaise and plum sauce provided a tangy and piquant flavour boost, completing the dish. Definitely a must-try! 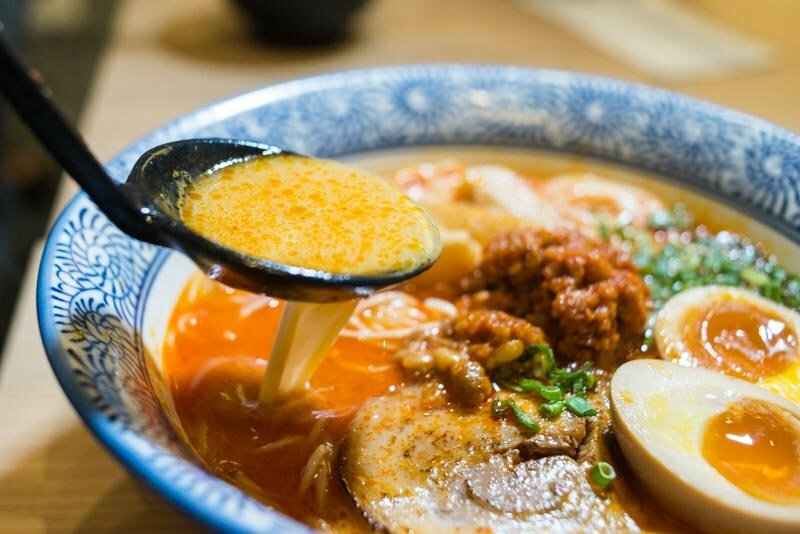 At Sō Ramen, although you don’t get top-grade ramen, the affordable prices still make these bowls of good-quality ramen very attractive. Moreover, you can indulge in a scrumptious pork fest, what with all the sinfully delicious pork belly, cheek and more that is available here. 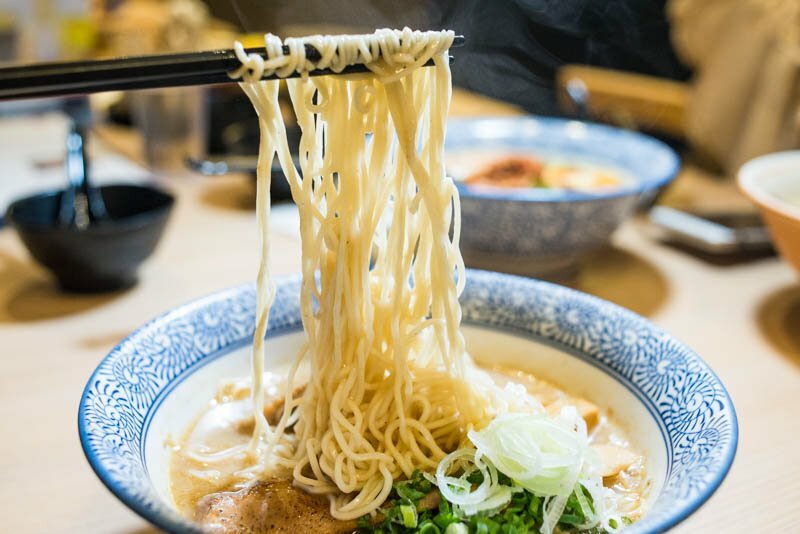 Undoubtedly, Sō Ramen belongs on the bucket list of any ramen lover who craves for this time-honoured Japanese dish but hesitates because of the hefty price tag! 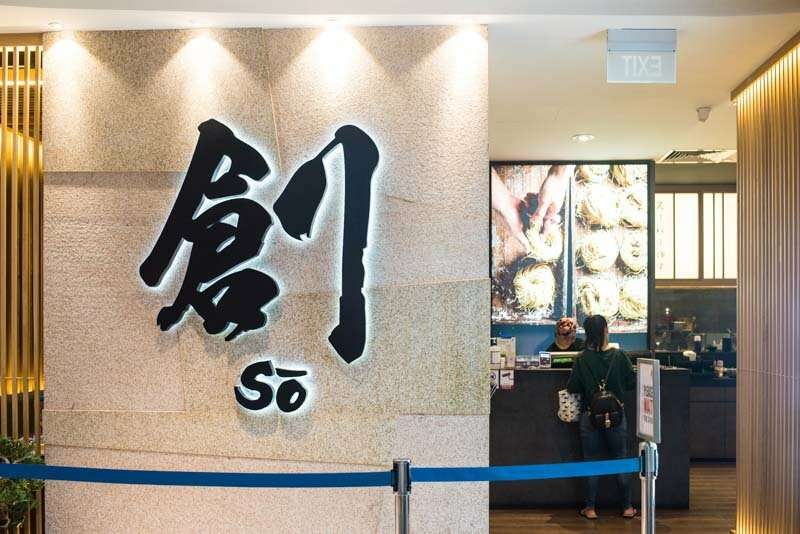 So good, so comforting, so affordable – that’s Sō Ramen for you.